The legal saga over the iconic Led Zeppelin song “Stairway to Heaven” is going into extra innings — or extra verses, if you prefer. The attorney for Michael Skidmore — the man who unsuccessfully sued Led Zeppelin for copyright infringement two years ago — has filed a notice of appeal in the case. “Please take notice that Plaintiff Michael Skidmore, Trustee for the Randy Craig Wolfe Trust, hereby appeals to the United States Court of Appeals for the Ninth Circuit from the final judgment entered on June 23, 2016, as well as any and all interlocutory rulings, decisions, and orders that gave rise to the judgment and are merged therein,” the notice of appeal reads. 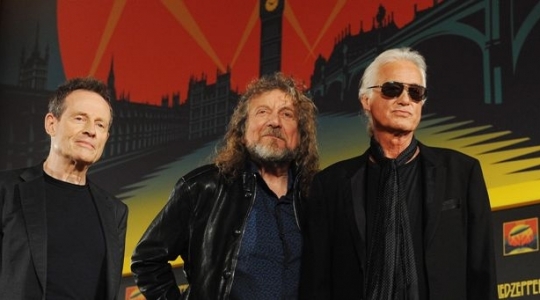 A jury in Los Angeles found in favor of Led Zeppelin in June after a two-week trial. The jury found that, while Led Zeppelin guitarist Jimmy Page and vocalist Robert Plant did have access to “Taurus” before writing “Stairway,” the songs are not substantially similar. In a statement following the verdict, Page and Plant said they are glad to put the issue to rest. Skidmore’s attorney, Francis Malofiy, told TheWrap after the verdict was read in June that the case could be appealed. Led Zeppelin’s attorneys declined to comment on the appeal when contacted by TheWrap. Malofiy has not yet responded to TheWrap’s request for comment.